What might those profiles look like? Well, the folks over at Team Pwnicorn reckon they'd look a little like this. 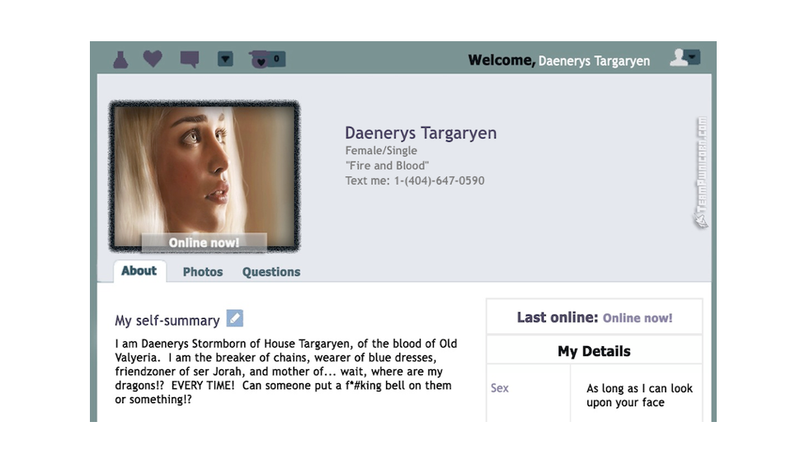 Funnily enough, not only do important characters like Daenerys and Jaime get profiles, but so do characters like Hodor and the wall.